A site close to the Provan gas works in Glasgow is the only place currently being considered for the replacement of Barlinnie Prison, according to the Scottish Prison Service (SPS). A replacement for Scotland’s largest jail, which dates back to the 19th century, is expected to cost up to £100 million. The SPS drew up three potential new sites for the successor prison in October for approval from the Scottish Government. Consultant Colliers International narrowed the possible sites for a new jail, to be named HMP Glasgow, from about 40 options in west Scotland. An SPS spokesman said: “Since instructions were issued to our property/ land consultant in May 2014, five reports have been produced covering sites within the city of Glasgow, North Lanarkshire, South Lanarkshire and Renfrewshire local authority areas. 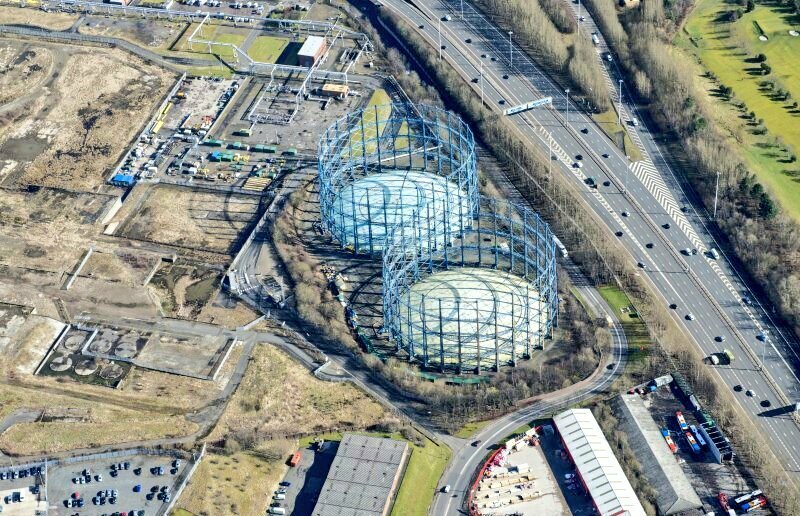 The SPS added that “no price has been agreed to purchase the proposed site” and said a “timescale can only be set once a site is secured and the necessary capital funding is available”. The new facility will be double the size of Barlinnie, which was designed to hold 1,000 inmates but is constantly overcrowded. Figures released last month showed Barlinnie was running at 130% of its capacity. Barlinnie will be sold off and could be developed into social housing or private flats. The SPS spokesman said Barlinnie’s replacement would not become a priority until after the construction of two community custody units in Maryhill, Glasgow, and Dundee and a national facility for women on the site of HMP Cornton Vale, Stirling. The construction of HMP Glasgow at Provanmill would then only go ahead once the site had been purchased by the SPS and planning permission had been acquired. The Provan gasworks site was identified as having potential in Colliers’ first report in July 2014 among many other sites, including land at Nova Business Park, just off the M80 at Robroyston, the derelict Law Hospital near Carluke, the former Clydesdale iron and steelworks in Motherwell and land at Gartcosh. A further search in September 2015 identified three more sites – the old Ruchill Hospital in Maryhill, land south of M80 at Robroyston and the former Merchiston Hospital at Linwood, Renfrewshire. All three were ruled out – Ruchill Hospital as there were too many homes and schools nearby, Robroyston because it was agricultural land and Merchiston Hospital as it was too remote. Two plots at the former Ravenscraig steelworks in Motherwell were also said to “merit further and fuller investigation”. A final report was published last May, with another nine new options, including land at the Clyde Gateway, Eurocentral and Dargavel business parks. None were considered suitable.